Posted November 29, 2015 by Jason & filed under Innovation. Quick! Who invented the electric lightbulb? If you’re asked that question at your local Trivia Night the safe answer is ‘Thomas Alva Edison’ (bonus points for knowing the guy’s middle name) and although it’s not correct, it’s good enough for a win. The history is a little more complicated; lots of people had been trying to invent electric light for nearly 40 years and at least two other inventors had working prototypes a whole year before Edison had even started. But the designs so far were fiddly and fragile; all were tricky to wire up and none had lasted more than thirteen hours before burning out. 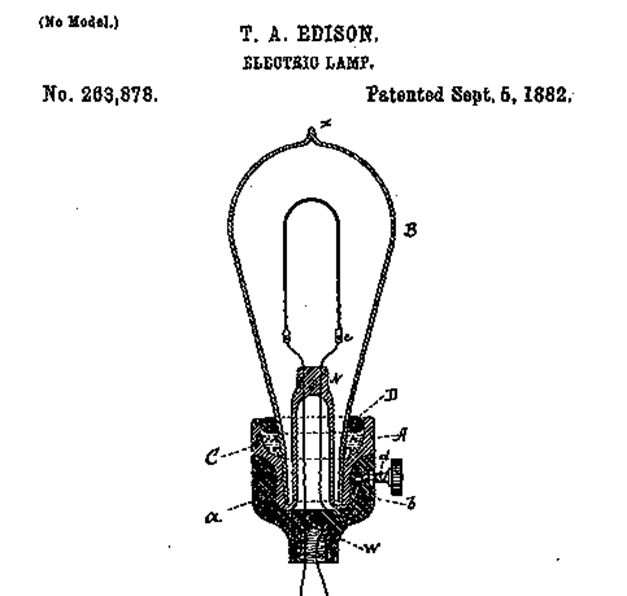 Edison simplified the wiring into a screw-in socket that enabled anyone to install a bulb in seconds. He tested over 6000 different materials before he found something (tungsten) that could burn bright for at least 1200 hours. Thomas Alva Edison did not invent the lightbulb; he made it 100x better. Invention happens once. Innovation never ends. History doesn’t always know the difference.But you and I do, don’t we? * Of course, innovation didn’t end with Edison. A carbon-filament bulb designed by Adolphe Chaillet in the 1890s has been in continuous operation at Livermore Fire Station, California since 1901 and shows no sign of quitting.